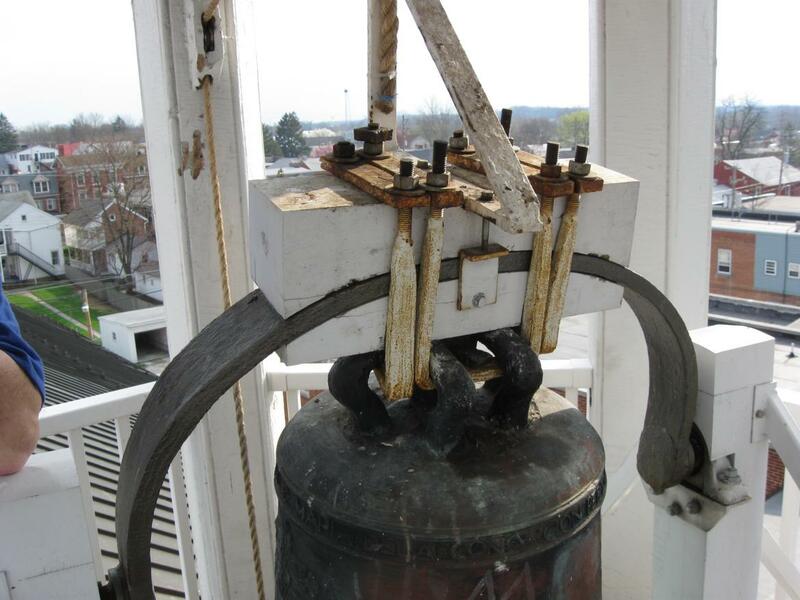 This is the bell of the Christ Lutheran Church on Chambersburg Street. 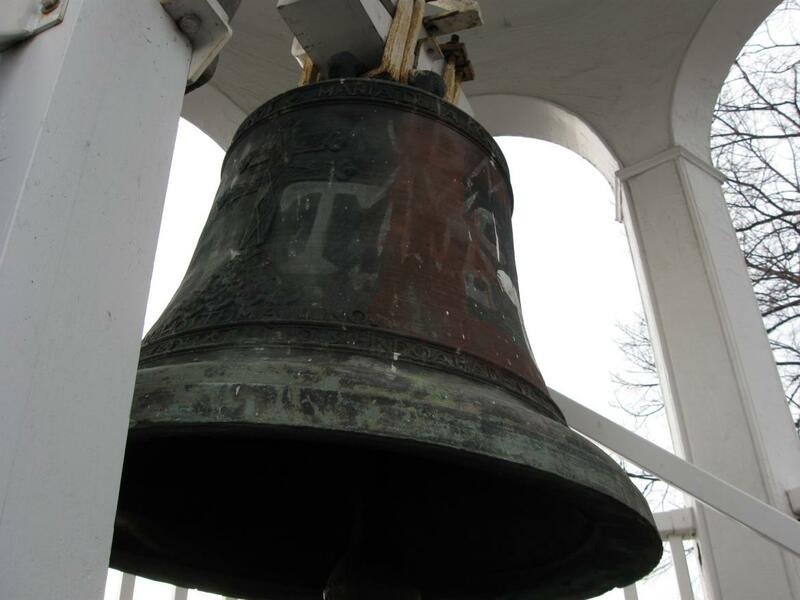 The bell was installed when the church was constructed in 1836. 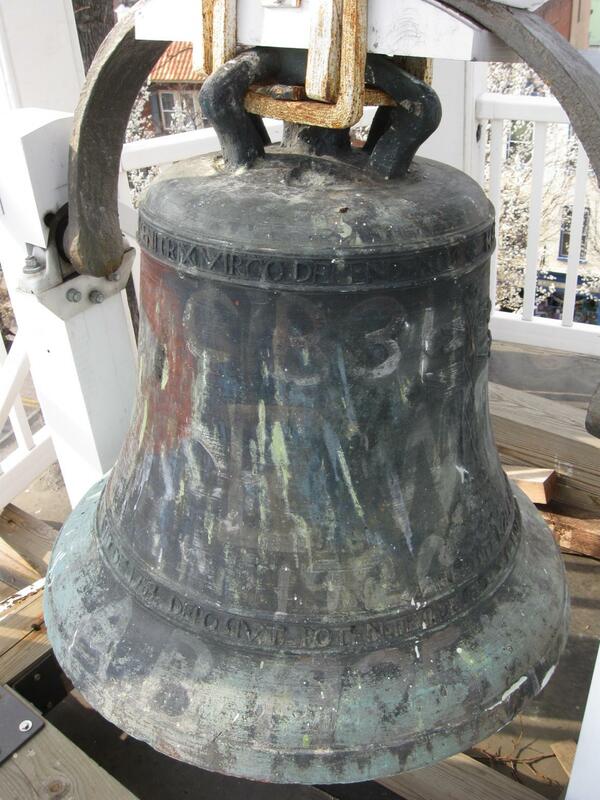 The bell and its cradle had been purchased in 1836 for $240.50. This view was taken facing northwest at approximately 4:00 PM on Friday, April 10, 2009. Christ Evangelical Lutheran Church is the oldest structure in Gettysburg continuously used as a Church. It was founded in 1835 to be the English speaking Lutheran Church in Gettysburg (St. James Lutheran Church, in existence since 1789, conducted its services in German), and to be the primary assembly hall for the Lutheran Theological Seminary and for Pennsylvania (Gettysburg) College. In our first post, Pastor Stephen R. Herr and Dr. Conrad B. Richter showed us some exterior parts of the structure and the narthex. 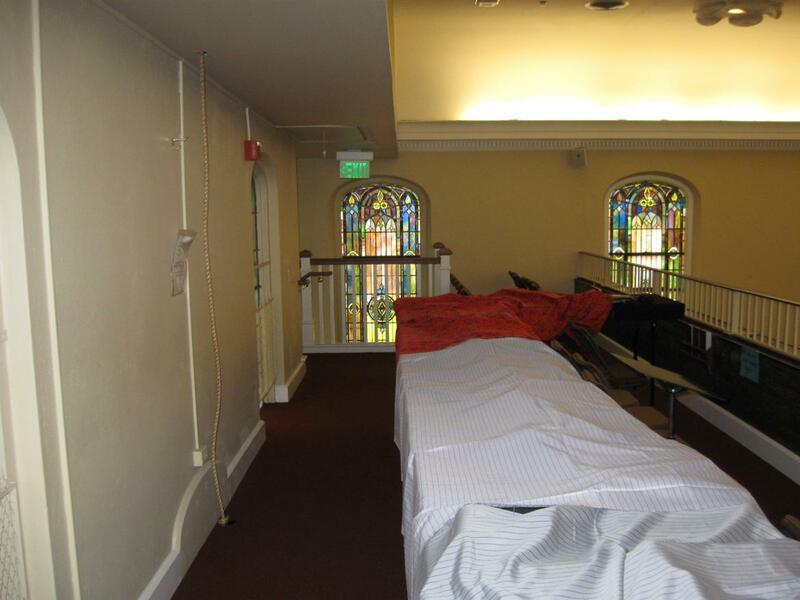 In our second post, we saw some of the nave, or central part of the church, and we discussed the church’s roll during the battle. In our third post we looked at a picture of West Point’s Class of 1915 sitting on the steps of Christ Lutheran, observed some stained glass windows, and stood in the church area used as an operating room during and immediately following the Battle of Gettysburg. In today’s post we learn about the church bell. 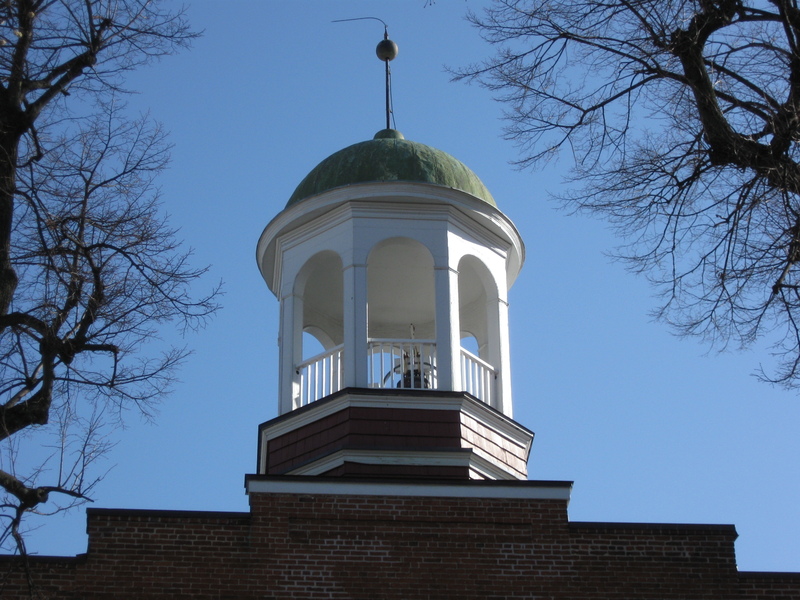 The bell is housed in the cupola of Christ Lutheran Church which is a very similar design to, although a smaller version of, the cupola on the Lutheran Theological Seminary building. Like the latter cupola, the Christ Lutheran Cupola has six sides, but this cupola was here in 1863 as opposed to the cupola on the Seminary building which burned in 1913. The Seminary Cupola does not have a bell in it. This view was taken facing south at approximately 5:00 PM on Tuesday, March 31, 2009. 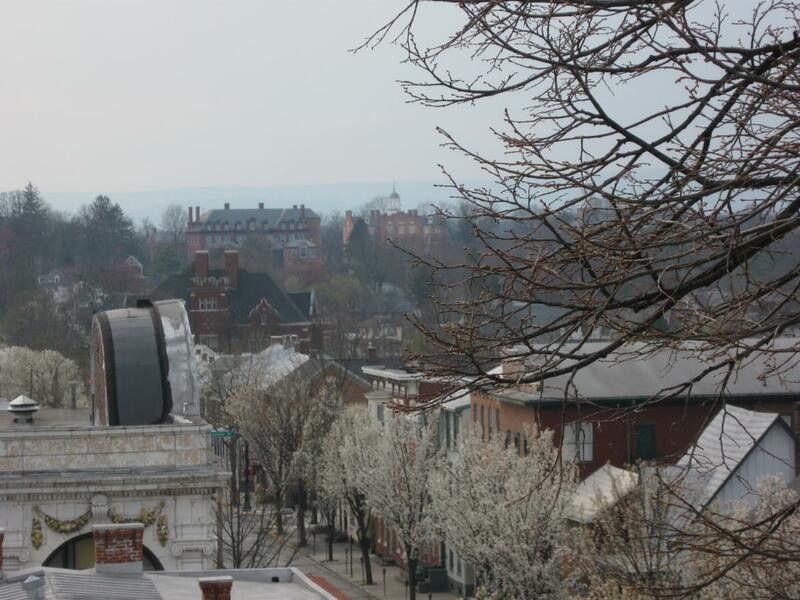 Here’s the Lutheran Theological Seminary’s Schmucker Hall, which now houses the Adams County Historical Society, as seen from the Christ Church cupola. Of course because the Christ Lutheran Church was the church for the Seminary and the College, and both were founded by the same people, it is not surprising that the cupolas would look very similar. Please see our previous posts on the Lutheran Theological Seminary Cupola on February 12, 2009 and on Feburary 16, 2009. This view was taken facing northwest at approximately at approximately 4:00 PM on Friday, April 10, 2009. 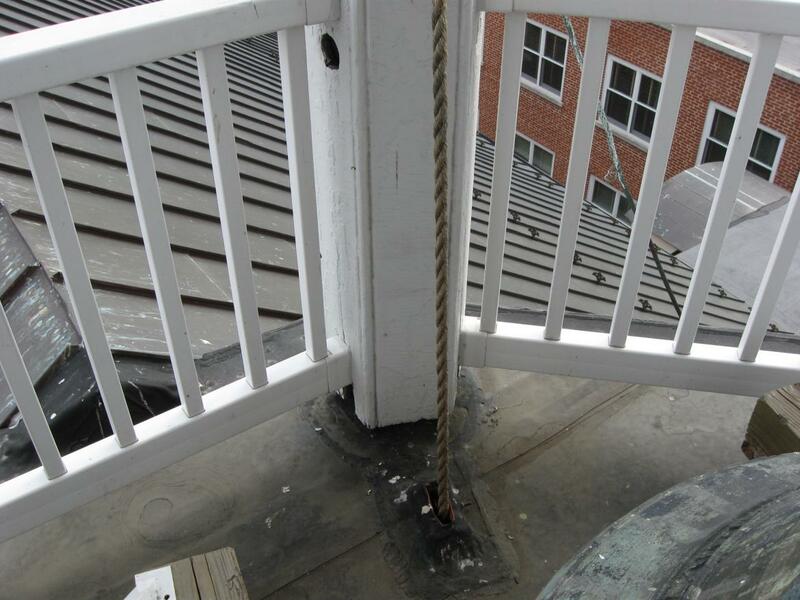 To get to the cupola, one first needs to go up into the balcony. The rope on the left is the bell rope. This view was taken facing east at approximately 4:00 PM on Friday, April 10, 2009. A ladder pulls down which we need to climb. 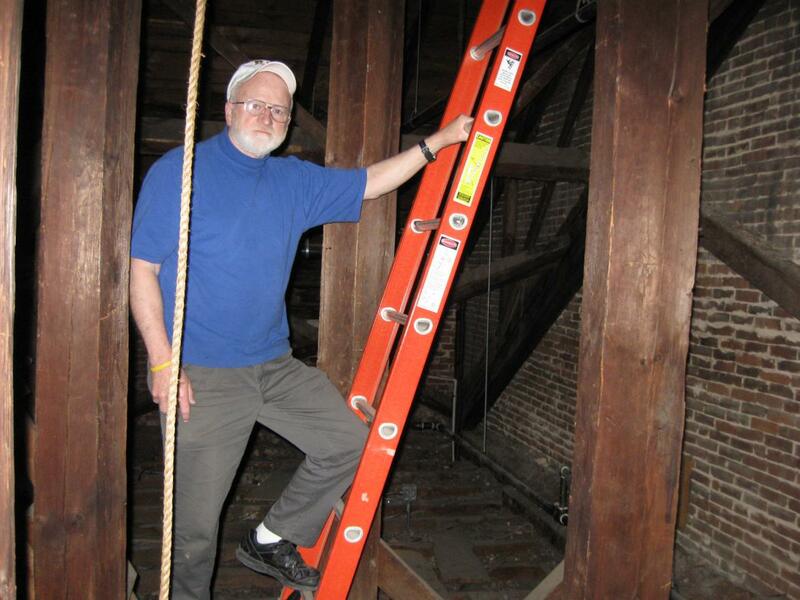 In you remember from our Seminary Cupola posts, that cupola was originally accessible only by ladders. 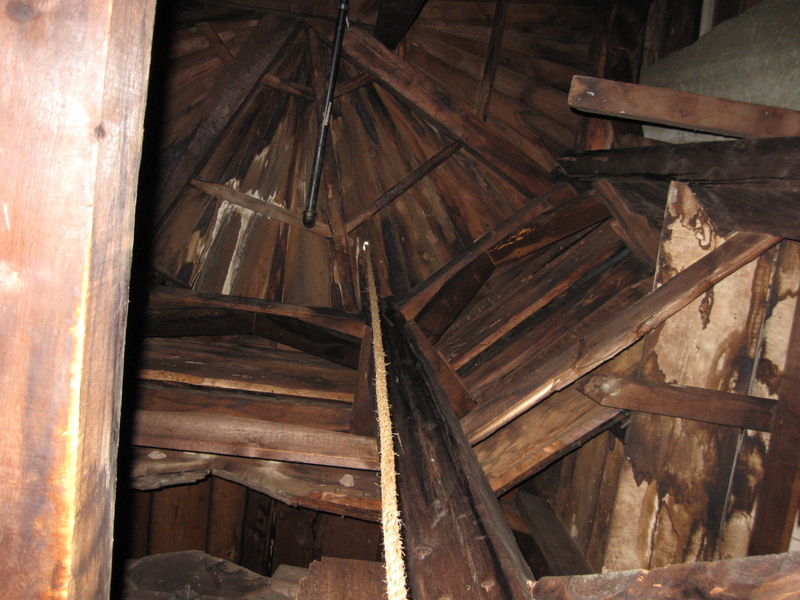 This cupola is still accessible only by ladders. This view was taken facing east at approximately 5:30 PM on Thursday, March 26, 2009. After climbing the first ladder, we entered the next level to climb the second ladder. Church member Thomas A. Laser is leading the way. 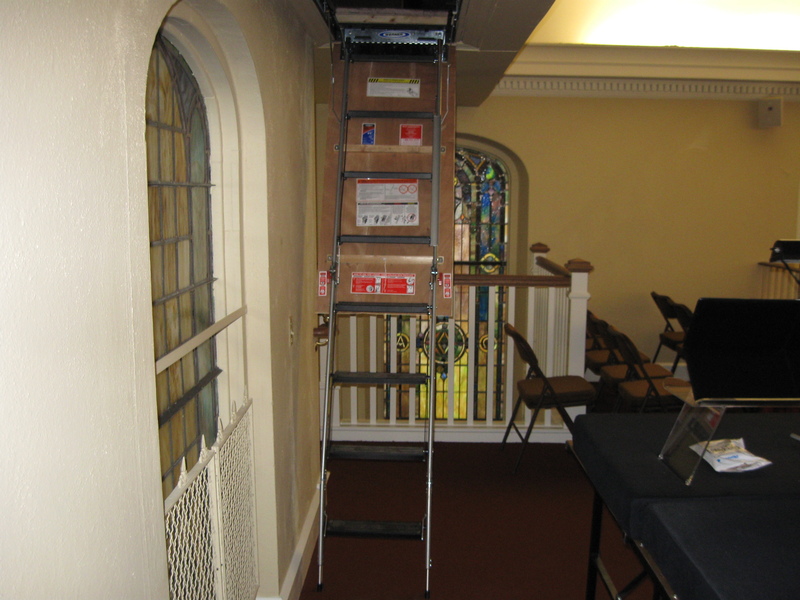 We’re pretty sure they used a different type of aluminum on their ladders in 1836. This view was taken facing east at approximately 4:00 PM on Friday, April 10, 2009. Tom Laser is showing us how the bell rope can be rung at this level or the level below. This view was taken facing east at approximately 4:00 PM on Friday, April 10, 2009. The bell rope goes up through the original woodwork into the floor of the cupola. This view was taken facing south at approximately 4:00 PM on Friday, April 10, 2009. 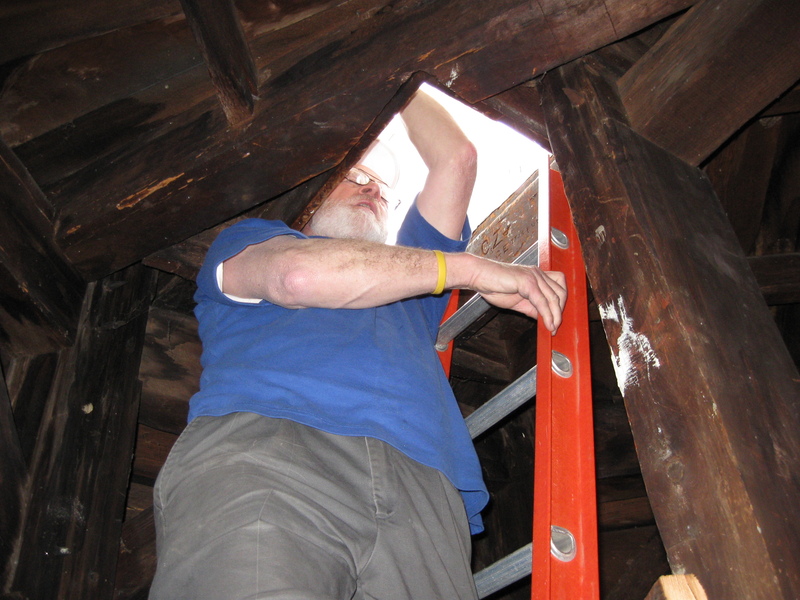 Tom has now unlocked and opened the door to the cupola, which is a much smaller entrance than the cupola at the Lutheran Theological Seminary. This view was taken facing southeast at approximately 4:00 PM on Friday, April 10, 2009. 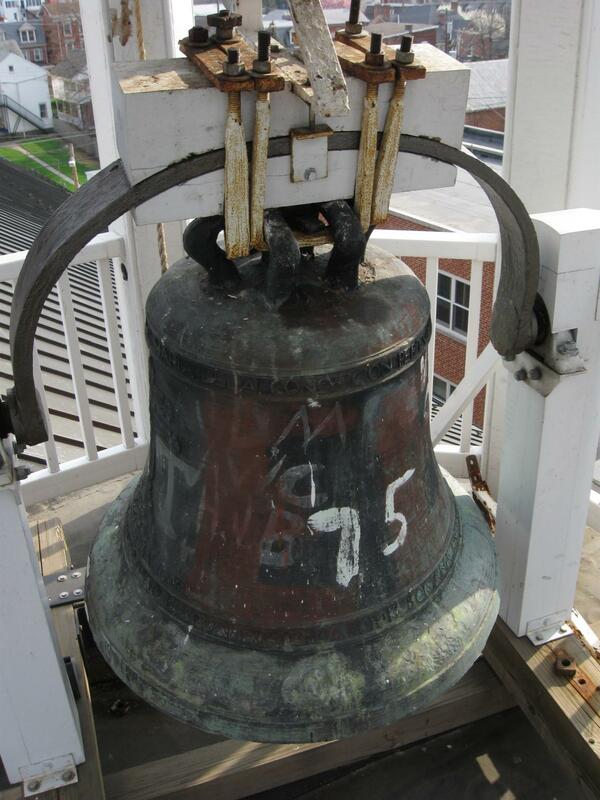 Here’s our first view of the bell, which weighs 577 pounds. This view was taken facing southwest at approximately 4:00 PM on Friday, April 10, 2009. The clapper weighs approximately 40 pounds, giving the bell a total weight of over 600 pounds. This view was taken facing southwest at approximately 4:00 PM on Friday, April 10, 2009. Here’s the bell rope coming out of the floor… This view was taken facing southwest at approximately 4:00 PM on Friday, April 10, 2009. 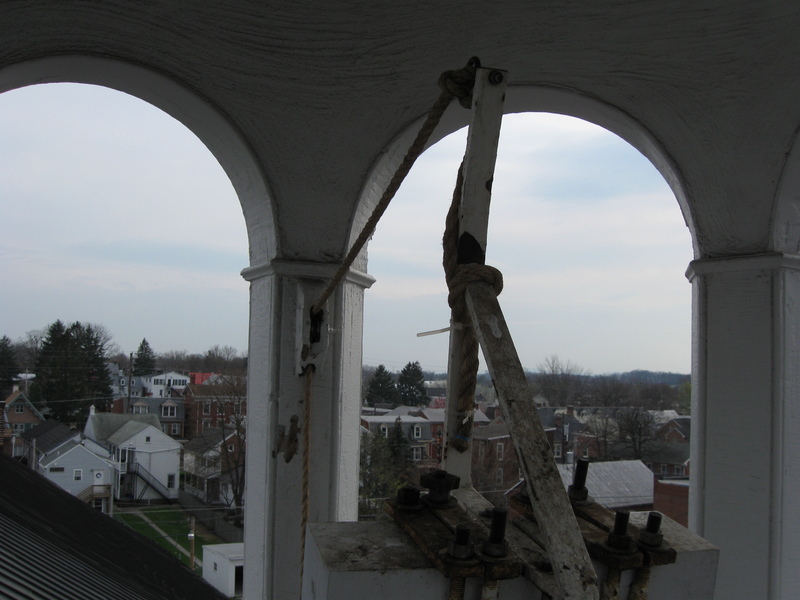 …and up through some pulleys… This view was taken facing southwest at approximately 4:00 PM on Friday, April 10, 2009. …until it attaches to the top of the bell yoke. This view was taken facing southwest at approximately 4:00 PM on Friday, April 10, 2009. 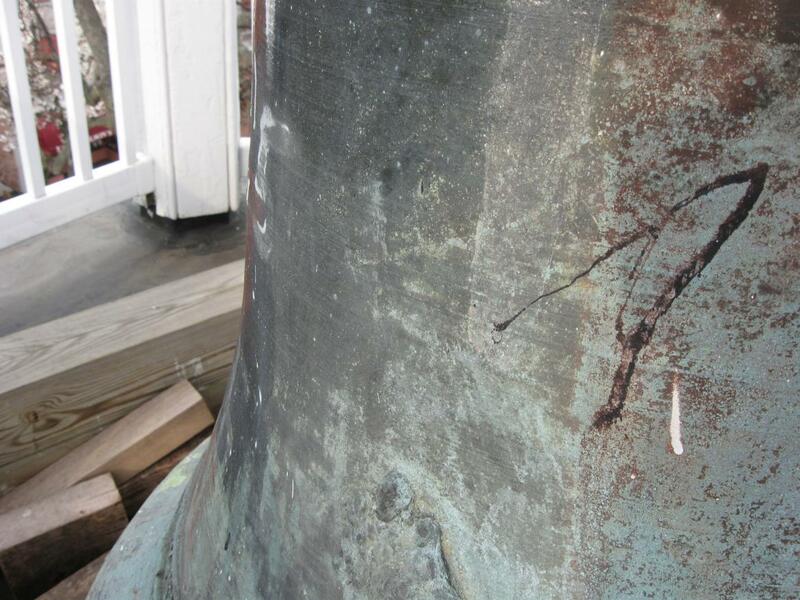 Graffiti covers the bell, but the church is waiting to have it professionally cleaned. This view was taken facing southwest at approximately 4:00 PM on Friday, April 10, 2009. 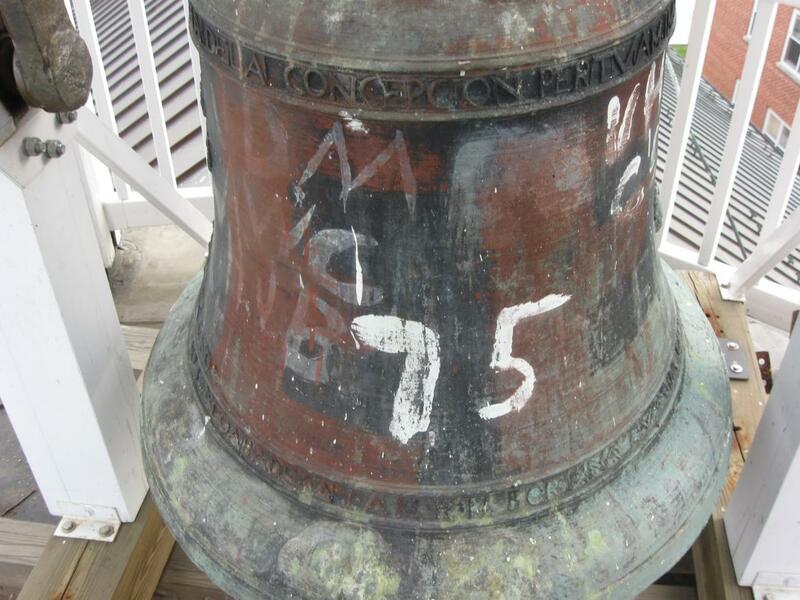 Although the bell was installed in 1836, the bell itself was cast in approximately 1788 in Europe. 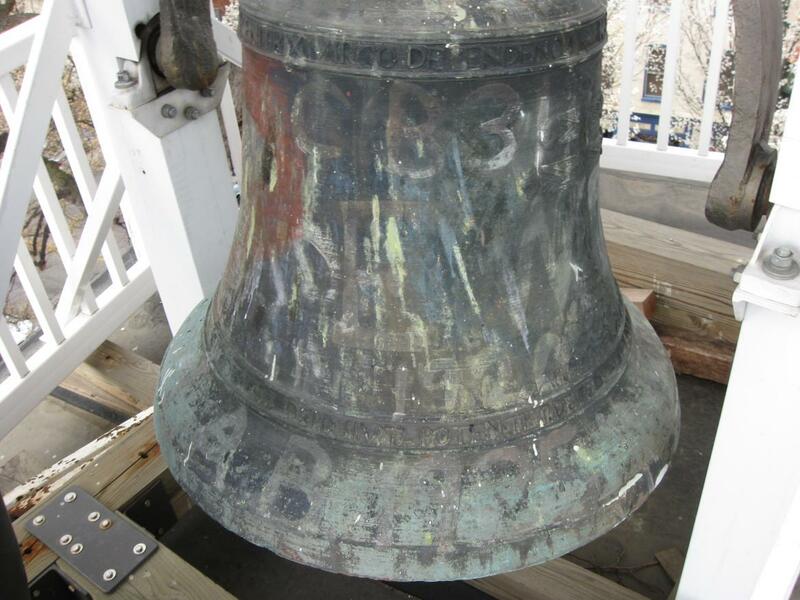 It was one of a cargo of confiscated convent bells brought to the United States from either Spain or Portugal. 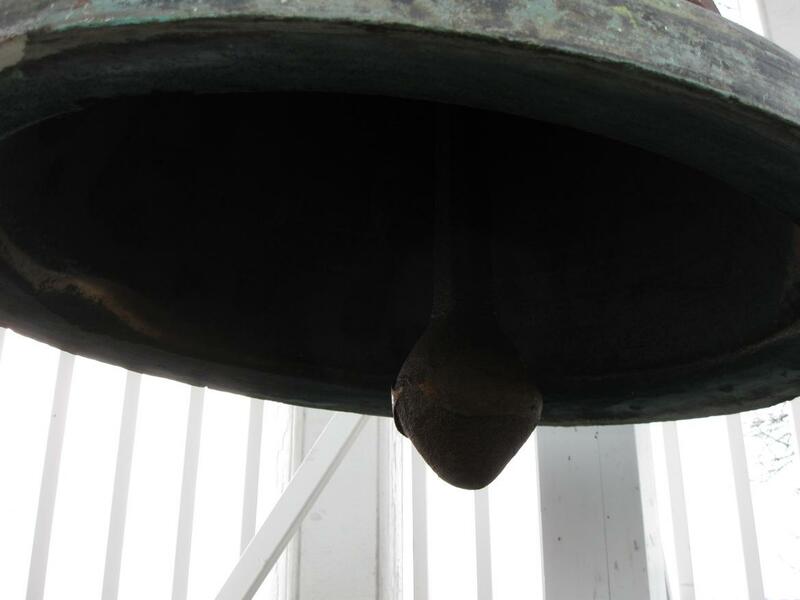 Many of those bells found their way into Protestant churches in America. This view was taken facing northwest at approximately 4:00 PM on Friday, April 10, 2009. 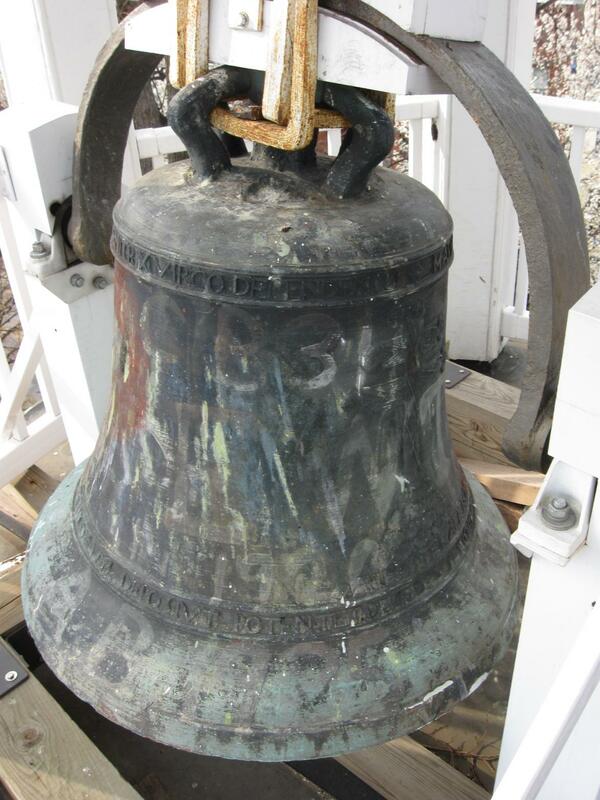 The bell is 28 inches tall, and 32 inches in diameter at its highest point. This view was taken facing southwest at approximately 4:00 PM on Friday, April 10, 2009. 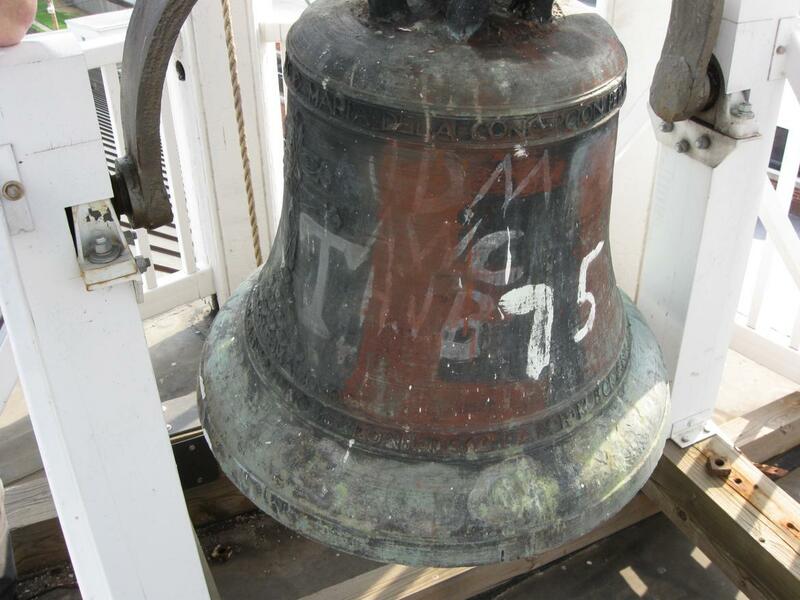 As Tom Laser shows us, the bell wasn’t originally the greenish color of patina. It was originally cast bronze. This view was taken facing north at approximately 4:00 PM on Friday, April 10, 2009. If you look carefully, you can distinguish fine horizontal lines spaced closely together which encircle the bell. These are the original tooling marks made by the craftsmen who turned the pattern for the casting. This view was taken facing northwest at approximately 4:00 PM on Friday, April 10, 2009. 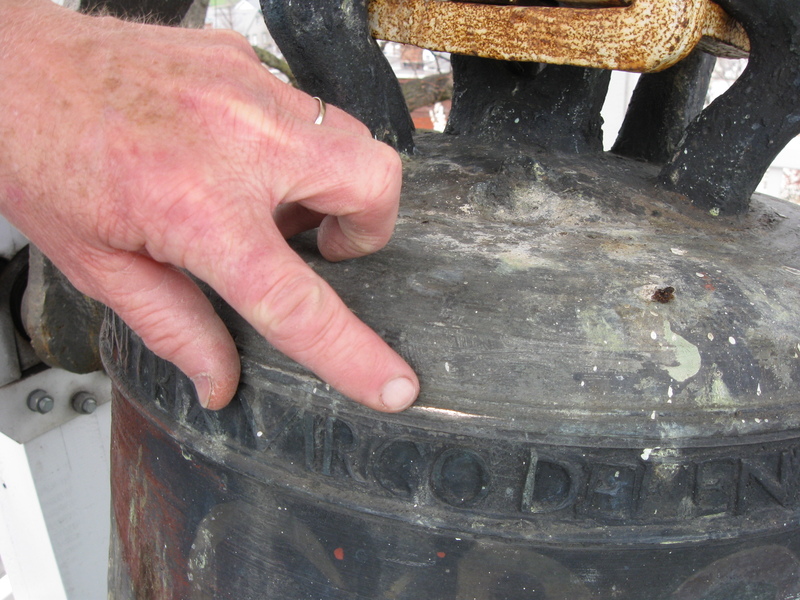 Inscriptions on the bell are in Latin and Spanish. Cast around the top or crown of the bell is a Latin inscription, which translates as follows: “Mary of the Conception, by the Immaculate Conception, Virgin Mother of God, defend us [then directly below] from the malignant foe.” This view was taken facing south at approximately 4:00 PM on Friday, April 10, 2009. 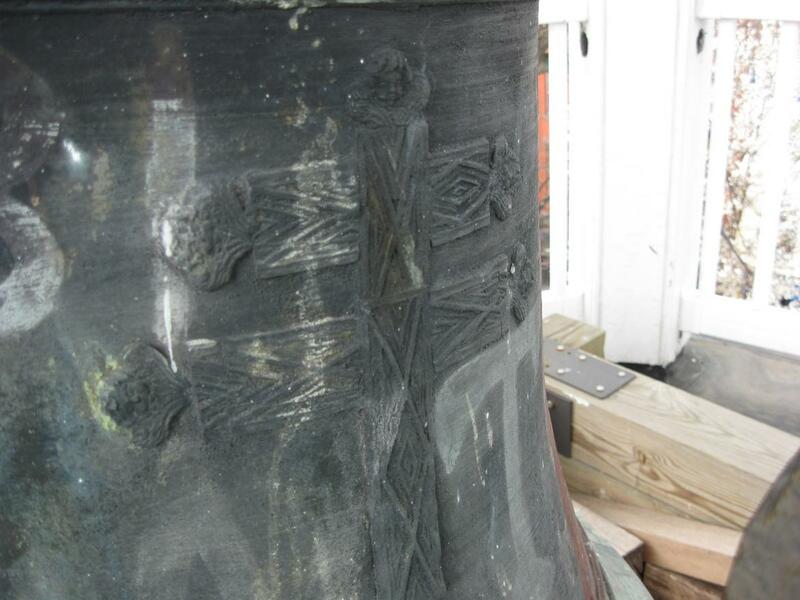 Cast around the bottom or skirt of the bell are two inscriptions. The first is in Spanish and it translates: “Hung while M.R.M. [Most Reverend Mother] Sister Anna Euphemia Izquiedeo and Faura was abbess in the Year 1788.” The second is in Latin, and it translates: “He hath put down the mighty from their thrones.” This view was taken facing northwest at approximately 4:00 PM on Friday, April 10, 2009. On the east side of the bell is a large double cross cast in bas-relief above the bell’s surface. This view was taken facing northwest at approximately 4:00 PM on Friday, April 10, 2009. 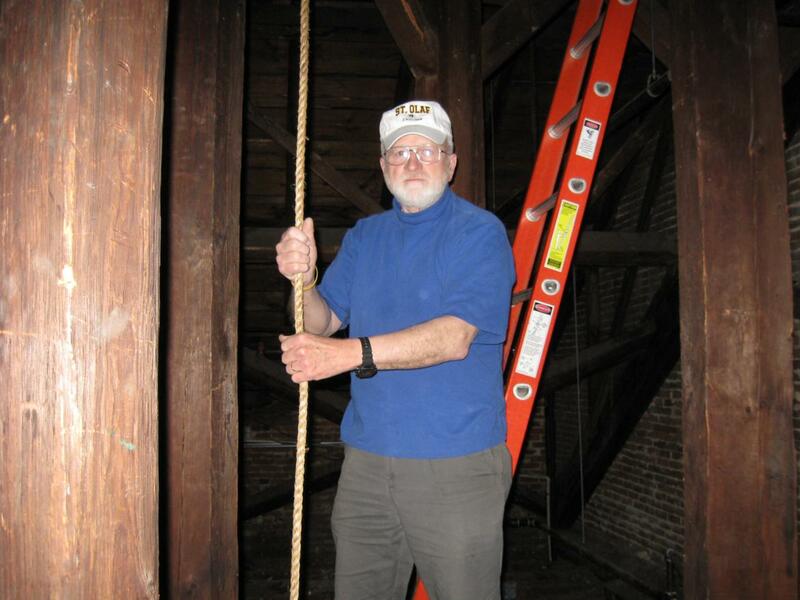 Tom Laser has been instrumental in shoring up the structure/cradle that holds the bell. This view was taken facing west at approximately 4:00 PM on Friday, April 10, 2009. 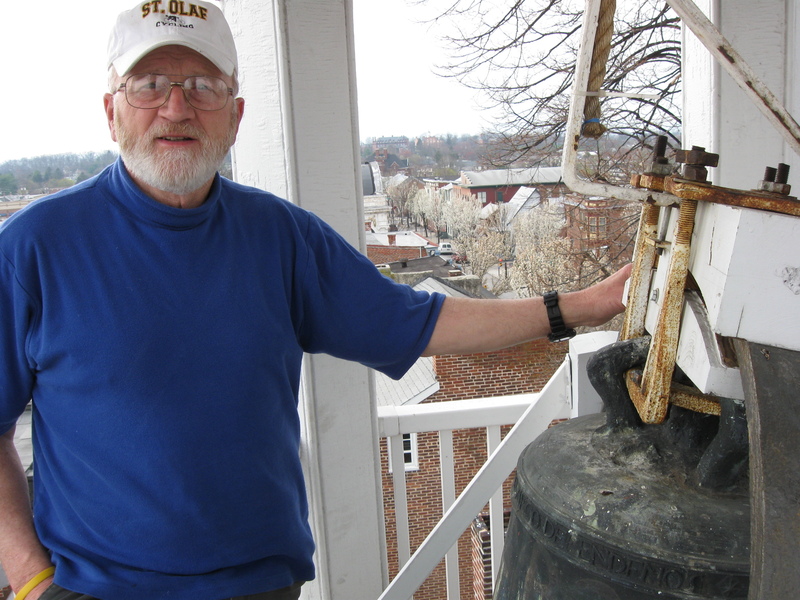 In Video #10 (Videos #1-9 were shown in our previous Christ Lutheran posts), Tom Laser shows us some features of the bell. This view was taken facing west and facing east at approximately 4:00 PM on Friday, April 10, 2009. In Video #11 Tom volunteered to ring the bell for us. Since it was Good Friday, he rang it sixteen times. For the record, the cupola shifts from north to south as the bell rings from north to south. This should not be surprising since over 600 pounds is being thrown from one side to the other. This view was taken facing west at approximately 4:00 PM on Friday, April 10, 2009. Christ Lutheran Church Part 1 on April 12, 2009. Christ Lutheran Church Part 2 on April 19, 2009. Christ Lutheran Church Part 3 on April 26, 2009.